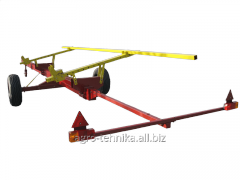 State of emergency of "Agricultural technician" is in the market of agricultural machinery since 2000. 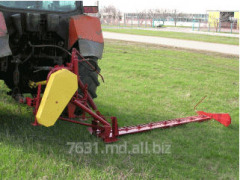 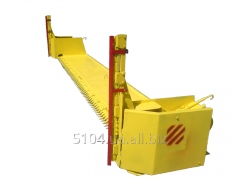 In 2004-2005 the enterprise developed and adjusted release of the roll harvesters intended for an agregatirovaniye with self-propelled KPS-5G, E-302, E-303, E-304 (ZhVU-5,1) mowers, and also with FIELD and YENISEI combines (ZhNU-5,1). 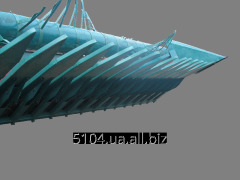 The harvester passed tests and received the certificate of conformity to requirements of DSTU 2189-93 and GOST 12.2.11-82. 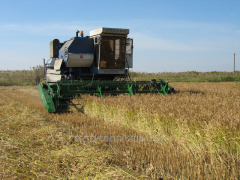 The enterprise works in the following directions: - Production and sale of roll harvesters; - Production of spare parts to roll harvesters; - Repair of roll harvesters; - Production of knives to the cutting devices of roll and kombaynovy harvesters; - Production and sale of devices for cleaning of sunflower; - Guarantee and after guarantee maintenance of roll harvesters of own production. 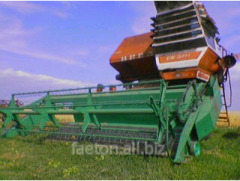 The device for cleaning of colza allows to convert grain harvester of the combine for opportunity to clean colza. 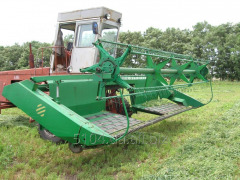 The device for cleaning of colza on combines Don, Polesia, Claas, Case, John Deere, Massey Ferguson, New Holland, Fendt, Deutz Fahr, Bizon. 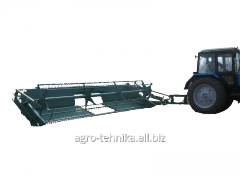 A complete range of products and services Agrotehnika, ChP. 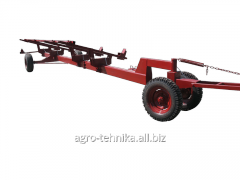 All information about Agrotehnika, ChP in Berdyansk (Ukraine).